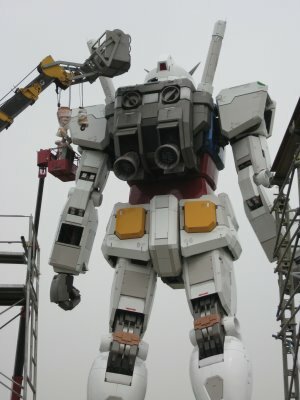 For some of you that have been tracking the progress of the 1:1 scale Gundam being made, well....its basically complete! Big thanks to Danny Choo for keeping us in tabs with the progress of it and for punynari for the great photos and news of its completion. In case you didn't know, this is a full scale replica of the RX78 Gundam from the original Moblie Suit Gundam series. 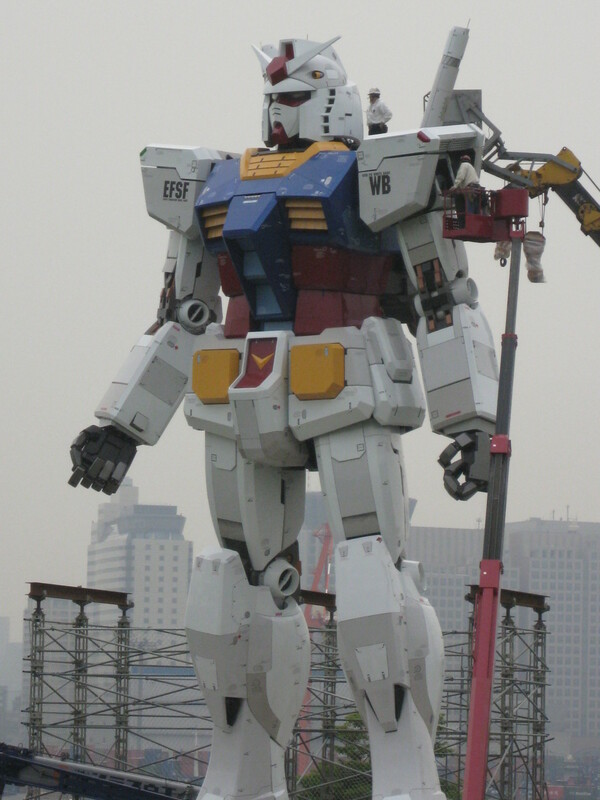 It obviously won't be a fully functional machine but an amazing monument with lights and sounds. If I'm not mistaken, it's decoration for a potentioal future olympics as well. 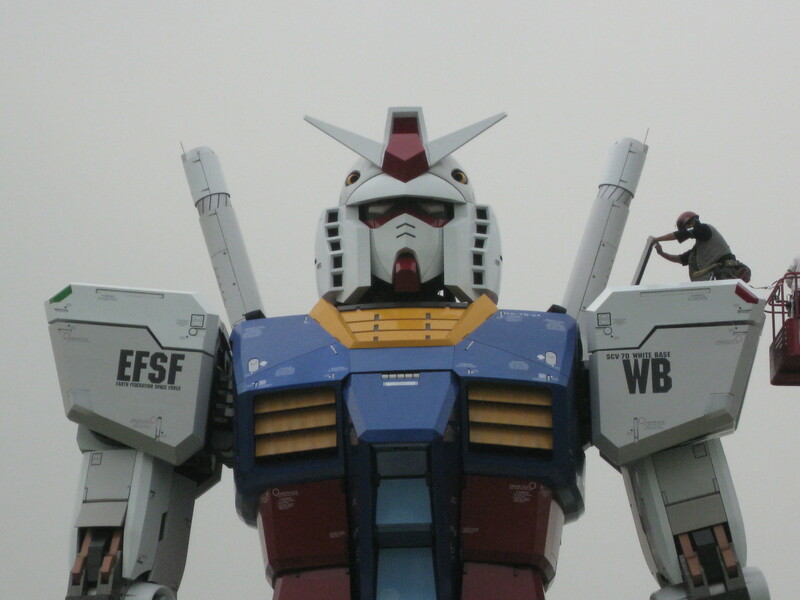 Once I do make my trip to Japan, this will be one of the sites I'll stop at. ...and I of course wouldn't pass up the opportunity to pilot a Gundam...those days are not yet here but with the Obaiba Gundam...we can still dream. Be sure to check out more pictures at the Danny Choo blog post and on punynari's blog.